With wildfires smoldering all over California, prevention has risen to the top of lawmakers’ agenda. A key to making forests more fire-resistant is to thin tree stands and thus reduce the fuel that propels the blazes—a reality the Legislature acknowledged this week as it OK’d a proposal that includes $200 million for that purpose. Legislators have been debating “mismanagement of our forests,” but whose timberland are they talking about? Trees don’t arrange themselves according to property lines. Forests cover a third of California, but the state owns only 2 percent of that land. The biggest landlord, by far, is the federal government. There are also private property owners, and county and tribal lands. This makes it difficult to organize a unified system to manage the forests, becoming potentially more chaotic when fires rage. Different agencies have different land-management goals: The U.S. Park Service, for example, is more likely to allow naturally caused fires to burn, to serve the useful purpose of forest clearance. Cal Fire, the state firefighting agency, aggressively attacks most blazes without regard to origin. Most state and federal agencies have agreements on firefighting protocols. But coming to terms on how to manage and thin forests is another matter; each entity has its own mandate, and preparing a management plan that satisfies everyone has proven elusive. Much of the problem hinges on who pays, and no agency wants to appear to have deep pockets. Frugal state officials would understandably prefer to make thinning pay for itself. That’s where circumference comes into play. Commercial timber companies can perform thinning, but they want older, larger trees that yield more wood. Professional loggers pay to take out the most desirable stands, leaving smaller trees. Larger trees, however, are hardier and less fire-prone. The lower tiers of small trees and saplings can become dangerous “ladder fuels,” carrying fire to the tops of trees, where flaming limbs can launch in the wind. There are small-scale uses for smaller timber, but so far it’s been difficult and cost-prohibitive to find loggers for the work. Legislators are talking about devoting hundreds of millions of dollars to forest thinning. The task will require all of that, and more. It’s more expensive to take out a tree than to plant one. Thinning can take a few forms. Sending crews into a forest to physically remove trees is called “mechanical thinning” and is the most expensive method, costing as much as $1,400 an acre. But selecting exactly which trees to remove more precisely achieves a forester’s goals. By comparison, controlled burns—those set by fire managers to remove vegetation from forests—is a relative bargain at less than $150 an acre. These fires, even though managed and herded, discharge polluting smoke and always threaten to get away from their overseers. At the bottom of the cost-benefit list are the 120 million or so dead trees carpeting the Sierra Nevada mountain range. They have little commercial value outside of biomass plants that burn wood to produce energy, and they’re expensive to gather and dispose of. Downed trees serve a biological function: Trunks and stumps provide habitat for some woodland species, and decomposing trees feed the soil for the next generation of plants. But dead trees that are still standing are a hazard, and massive piles of slashed, dried wood are a tossed cigarette away from a bonfire. Yes, California’s big trees have been burning, dangerously so. But some of the state’s combustible landscape is grassland, and those blazes behave in erratic ways that concern firefighters. Fires in forests are somewhat predictable. Fire pauses to consume a tree and takes its time. But in chaparral and other brush, fire travels swiftly, incinerating grasses quickly and moving on. Professionals call these “flashy” fires, because of the speed and the amount of ground they cover. When grass fires are driven by wind, they can be every bit as frightening as large forest fires. So effective forest management means looking beyond trees to clear grasses as well. The legislation allows for exceptions to environmental laws and for expediting some thinning projects by streamlining environmental reviews. It’s not uncommon for some rules to be waived during emergencies. But, like fire itself, some decisions leave long-lasting effects. Allowing more extensive roads in forests seems like a good idea. They serve a useful purpose—as firebreaks, for example, and to allow better access for firefighting and emergency vehicles. But cutting roads into undisturbed forests can have a profound effect, not the least by ferrying more vehicles into sensitive areas. Roads and traffic near streams and rivers can foul water and increase harmful sedimentation. Laws such as the California Environmental Quality Act, have a purpose, too. They elevate the value of natural systems and force decision-makers to consider the long-term welfare of those systems. The idea of forest and fire management is to preserve California’s vital landscapes, which store water and pull carbon from the atmosphere. 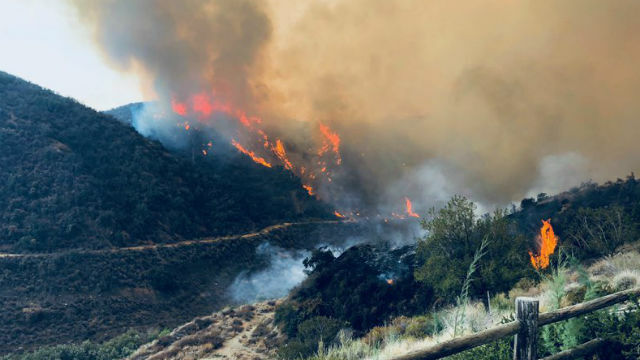 Lawmakers appear to recognize that decisions made before there’s the heat of a new wildfire may be more likely to fulfill the mission of saving the trees.